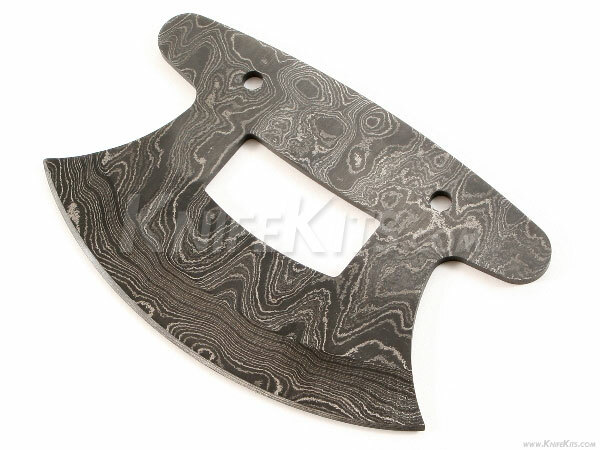 This cool design is called "The Chopper". 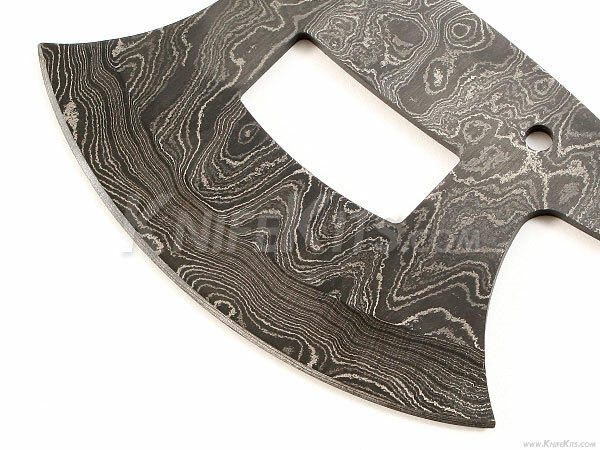 It is a USA Made carbon steel damascus fixed blade that is double hollow-ground and ready to build. 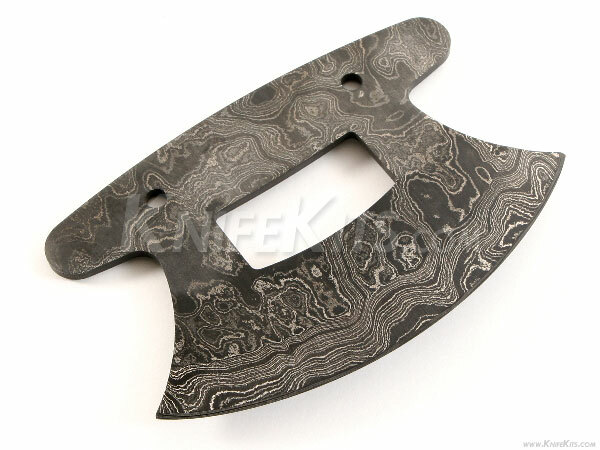 This model would make a fantastic project knife or a fine presentation piece. 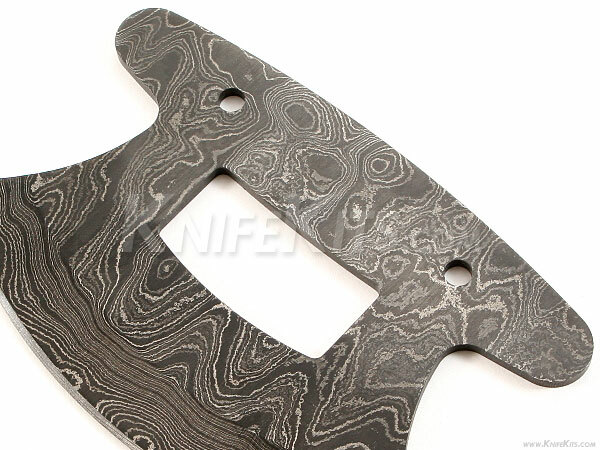 Add some exotic handle scales and sand to finish.